My earlier post on William Nathan, Class of 1916, came after my accidental discovery of his scrapbook on one of the shelves near the spot in the Woodson where I like to work. Once I began paying attention to the Class of 1916, I found one engaging story after another, some of them fabulously intertwined. This small class turns out be very important in Rice’s history, and many of its members remained close the the Institute and to each other for their entire lives. Perhaps I should have expected this. After all, they had to start from scratch, inventing along with Lovett and the first faculty a new university. They had heads full of stories about how the students acted back East, or in Austin, or at A&M, but they alone had to figure out what it meant to be Rice students. The box in which I found Nathan’s scrapbook holds another as well, the scrapbook kept by his classmate, Carl Knapp, a native of San Angelo who came to the Rice Institute in 1912 to study Electrical Engineering. Every one of the scrapbooks that I’ve seen is exquisite in its own way. Unlike the memos and letters of administrators, which are often intellectually quite interesting but lifeless, these jumbled collections of pictures, ribbons, and dance cards have an immediate emotional power. Seen from this distance, within the context of the lives their compilers led, the sense of promise and loss, the sweep of change, can be piercing. Knapp’s career as a Rice undergraduate is instructive. There was a lot to be done to get the apparatus of student life up and running and not very many available hands. So despite the rigorous academic demands, he plunged into leadership roles in the emerging student activities. He was chairman of the Honor Council, treasurer of the Engineering Society, associate editor of the first Campanile, and a member of the Riceonian Literary Society. As a senior he was an assistant in mathematics. He graduated with a B.S. in Electrical Engineering. 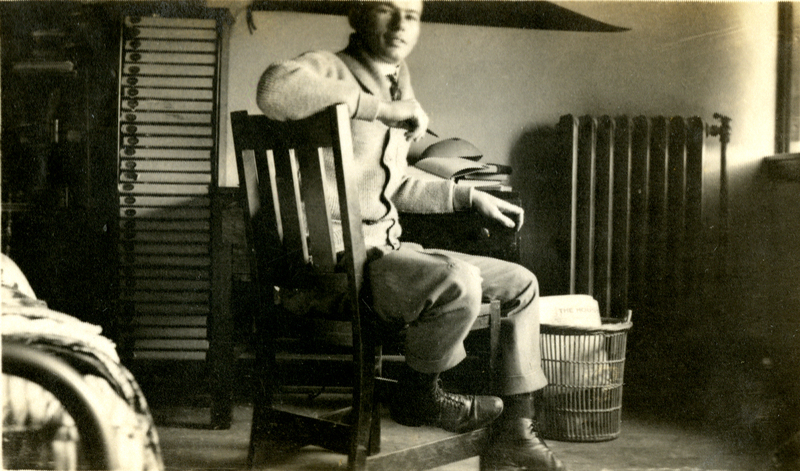 After graduation, Carl Knapp served in the army in World War I and then returned to Houston, where he spent the rest of his life. He first opened an electrical business, but soon sold out to a partner and went to work for Houston Lighting and Power. By 1925, though, he had found what would be his true career: real estate. He worked for the River Oaks Corporation, first selling lots and homes in the newly opened Country Club Estates section, then becoming general manager of sales. In 1947 he formed his own brokerage and appraisal firm with Claxton Parks, a former colleague at River Oaks. He had quite a bit of success, acting at various times as president of the Houston Board of Realtors and the American Institute of Appraisers. 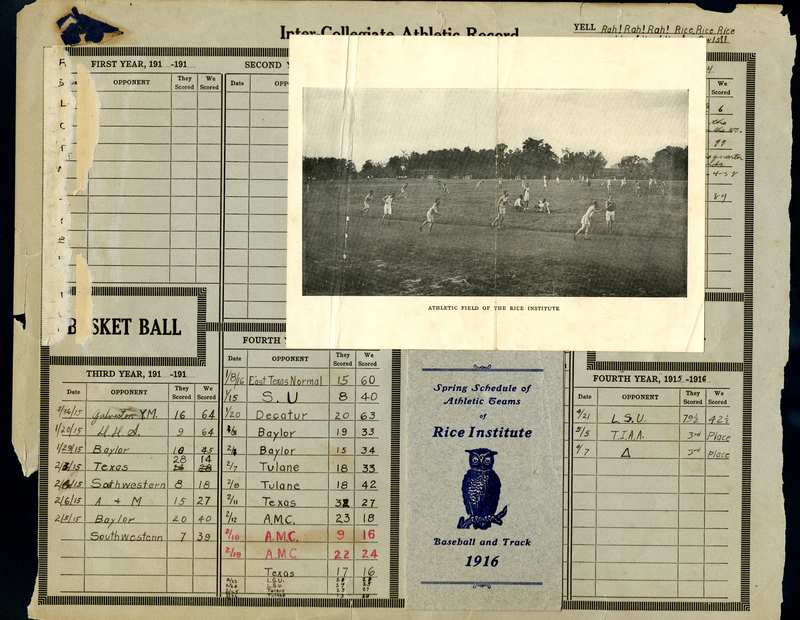 He was also an active member of the Association of Rice Alumni and served a year as its president. He lived with his family in River Oaks and was an elder at Grace Presbyterian Church for many years. Carl Knapp died in 1971, at work in his office across the street from Lamar High School. He was 76. His two beautiful daughters, Elizabeth and Carolyn, also had outstanding careers at Rice. Last I heard they lived in Tomball. Mr. Knapp and my father were good friends in the Kiwanis Club and died the same year. Elizabeth and I were classmates in River Oaks Elementary School the year it opened. Thanks for telling me about your blog.